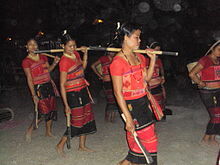 Mech tribe is one of the scheduled tribes of India and belong to Bodo-Kachari group of tribes. They belong to Mongoloid race and speak mainly Bodo language, which is a Tibeto-Burman dialect but have got influenced by the Assamese language. The Mech people live in the Dooars region of West Bengal and parts of western . The name Mech is supposed to be arrived from the in the Terai region. According to a belief, some ancestors of these people had resided in the region adjoining the Mechi river and subsequently they were named as Mech. Others say, the word Mech has come from the Sanskrit word Mleccha, meaning unclean. Today, a section of Mech people in West Bengal prefer to refer themselves as Bodo instead of Mech. Origin: Myth and history : Meches migrated into India through Patkoi Hills between India and Burma and gradually spread themselves into the whole of Assam, North Bengal and parts of East Bengal. It is said that, during their migration to India, they marched towards three directions. A group of people from there went up to Cachar district in Assam. In Cachar, they are called Kachari. Another group went along the river Brahmaputra and established themselves in the whole of Assam up to Goalpara district and parts of Jalpaiguri district and Cooch Behar district under the name of Bodo or Bara. The third group went towards the West along the foot of the Himalayas up to the river Mechi, bordering India and Nepal and settled on the North bank of the river known as Mech or Mechia. Later they spread to Darjeeling Terai, Baikanthpur in Jalpaiguri district again marched further East and settled in the Dooars. It is said that, a group of Mech people, again moved further East, crossed the Sankosh River, and went towards Goalpara in Assam. Due to repeated floods in Dooars and eastern bank of Teesta river, a large number of families migrated towards Assam. According to N. Vasu (1922) Meches and Kiratas belong to the Asura dynasty. They were Mlecchas and so abbreviated into Mech. They ruled Pragjyotisha Kingdom for four thousand years and later began to decline with the elevation of the Aryans. Many of them sought refuge in the remote forest areas to be regarded as wild and uncivilized tribes in later years. George Abraham Grierson's Linguistic Survey of India also maintains that Mech is a corruption of Mlecchas. Sanyal (1973) narrates a mythical story about the origin of Mech people. It says Mech and Limbu used to live together. They were driven out from the north-eastern corner of India, Burma and Tibet. They fled along the foot of the Himalayas and came to the low lands of the present Darjeeling district in the midst of thick forests. They lived there temporarily. The Limbus did not want to stay back there. They started towards the hills making the way by cutting trees. The Meches started a few days later. They tried to follow the track but lost the way and came upon the river Mechi between Darjeeling and Nepal. Some of them preferred to live on the banks of river Mechi. They called themselves Meches or Mechias. Thus, it is believed that the Limbus of Nepal and the Meches of India belong to the same tribal group. Risley (1891) tells a story about the origin of Mech, which is close to the above one. God sent Mech people on the earth from the heaven. They descended to Varanasi in the beginning. However, Varanasi was not the ascertained place for them. They started moving towards north and reached Kachar in Kamrup. The youngest brother decided to stay back there. He was the forefather of Mech, Koch and Dhimal. The elder brothers went towards the hills. The descendants of those two brothers are Limbu and Khambu of Nepal. From the third to the tenth century, Aryan kings of Gaur namely Samudragupta, Prabhakar Vardhana, Jayapala, Vikramaditya and many other Kshatriya kings advanced as far as the Louhitya with their army and subjugated Kamarupa from time to time. Some of the military personnel must been retained there and miscegenation between the invading army the indigenous people must had taken place. Thus, the Hinduized Bodos and Meches gradually assimilated much of Kshatriya blood, adopted Aryan Hindu gods and started worshiping them along with their own gods. The Meches were one of those early inhabitants of the Dooars and adjacent tracts and had exercised control over large areas in earlier centuries. Several accounts state that the Koch Behar royal family descended from a Mech leader Haria alias Haridas Mandal. Since the thirteen century, the Meches experienced a process of both Hinduization and Islamization. More than a century ago the Meches used to practice ‘jhum’ cultivation, that is cutting and burning the jungles and then sowing different seeds in each hole made by dibblers and sowers. Short-staple cotton was their cash crop. They had no idea of cultivation with bullocks and the plough. In the later years, they found themselves displaced from their lands by the strict forest rules of the British foresters and extension of tea plantation. Meches were compelled to adopt settled cultivation. D.H.E. Sunder (1895) a British surveyor reports that the Mech people showed a rapid progress from the nomadic to settled state They had taken to the permanent cultivation in all seriousness with bullocks and the plough. They raise many crops of which rice is the principal one. They are experts in areca nut (betel palm or betel) cultivation Betel vines climb ups the areca trees. These are their cash crops. Mech women rear silkworm. They spin Endi thread from the cocoons. Mech women also weave cloths with the thread produced at home, on a primitive loom called ‘kanti’, which is made from bamboo. They also make baskets, fish traps and other items out of bamboo. Their traditional houses are still constructed with bamboo. Today, most of Mechs are mainly dependent on agriculture for their livilng. They follow subsistence level agriculture, though in recent times they are progressively using modern methods of agriculture. Both male and female member of the community work together. Meches view the 'mother earth' as human mother. Even today, they follow the same idea and customs of agriculture even after they have shifted from ‘jhum’ (slash and burn) cultivation to settled agriculture with the bullocks and the plough. The Meches call ‘jhum’ as ‘Hadang’ and the settled cultivation as ‘Hal-wai-nai’. The Meches have still retained their distinctive Septs or Gotras. They have five or seven principal Gotras. They are associated with the objects other than human that might be the remnants of some form of totemism as probably practised earlier. The most common Gotras, found among the Meches in the Dooars today, are following, Sampram-ari or Campram-ari (the priestly class), Narzin-ari, (the warrior class), Basumat-ari (landlords and cultivators), Bargaon-ari, Iswari-ari, Moch-ari and Hajo-ari. The suffix ‘ari’ means Sept or Gotra. In some early literature, more numbers of septs are mentioned among the Meches and Bodos. The Meches prefer negotiated marriages. They marry within their tribe and within any of their septs. However, there is no restriction in marrying outside one’s sept. Rarely do they marry outside their own tribe. If it happens, the couple is not made out caste but absorbed in the society, reports Sanyal in his book. The Mech families are mostly joint or extended. The boys usually do not take a separate house after marriage. Separation is done by the head of the family according to necessity. Girls after marriage go to their husband’s house. In a Mech family, only sons inherit father’s property. Daughters, both married and unmarried, do not have any right to the property. However, they may get maintenance. For the Meches, any object possessing super-human power is regarded as an object of worship. Meches worship rivers like Tista and Torsha. The Meches worship celestial bodies, the god of the forest (Hagra Modoi) for protection against carnivorous animals. 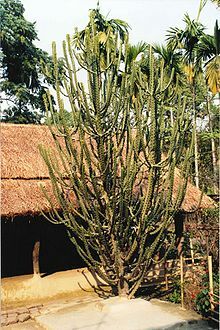 They worship Manasha (the snake goddess), Mahakal (Shiva), and Bathou, which is represented by a Euphorbia plant or sij plant. Bathou is the most important god of the Meches. Bathou is worshipped in every Mech household. Later on, they started worshiping several Vedic and Hindu gods too. Lately, some of them have started making idols of gods, probably under the influence of Hindu culture. The Meches in West Bengal also follow other religions like Islam and Christianity. There is also a small number of followers of Brahmoism, use Brahmo or Brahma as their surname. At the beginning of the present century, the Brahmo reformative movement, under the leadership of Guru Kalicharan Brahma, became popular among the Bodo Kachari people and led to an overhauling of the social system. 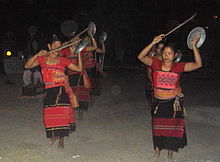 The Pan Bodo Movement, which originated in the neighbouring state of Assam, has given rise to political aspirations among the Mech. They have extended moral support to the movement of the Plains Tribal Council of Assam for a separate state of Udayachal. 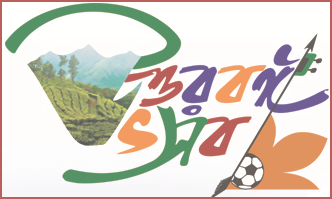 The Pan Bodo literary movement, which also originated in Assam, under the name of the All Bodo Sahitya Sabha, has its counterpart in West Bengal. As a result, the educated Mech of this state demand that the medium of instruction, at least at the primary school level, should be their mother tongue in the predominantly Mech or Bodo speaking areas. The Mech have achieved a literary rate of 26.97 percent. The males and females have registered literacy rates of 33.37 percent and 19.97 percent respectively.